I’m just back from my first ISPO, but first it’s time to look again at what our favourite ultralight gear cottages have in store for us in 2014. Like in 2013, Benjamin and me teamed up to present you the latest and greatest New Gear from the Cottages for 2014! The new kid on the block is already making quiet a name for itself. As Tucas hails from Spain and makes garments and gear, as well as custom works. Their Sestrals collection of insulated garments and gear will be expanded with new and cozy members: An insulated hoody top (in both jacket and pullover versions), a flat quilt and a wearable quilt for those who love true multi-use tools. Before the snow (which snow?) transforms into rain, As Tucas will offer a whole new line of rainwear. Ultralight yet functional jackets and pants made with 2,5 layer fabric and WPB Event - Cuben fiber. Also their silnylon flat tarp is almost ready, and will be a more affordable version of their Arazas cuben tarp - made with same care to detail, coming seam sealed to you. If you like to ride your bike, you will soon be able to keep your hands warm and happy with their new pogies. In the back-end, the As Tucas workshop has been equipped with new machines, including a flat lock and an embroidery machine. New fabrics are on their way to the workshop, and many others are being tested. New colours of their flagship shell fabric (Momentum 50) will be available in March. Also their already great website will be further improved, so keep an eye out on that. Lets wander a bit north and hear what the Packrafting Store has for news. Well, they will celebrate their second anniversary on February 15th this year, and you might want to subscribe to their newsletter for that occasion. 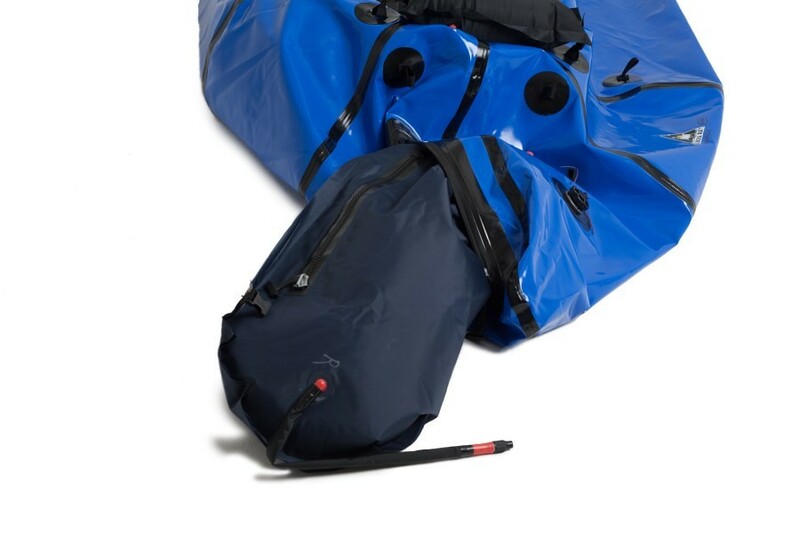 The long awaited Packafting vest, the Anfibio Buoy Boy, is an inflatable jacket serving much like a PFD, yet it can’t be claimed that way, since you need (and could forget) to blow it up! That is the official rules. 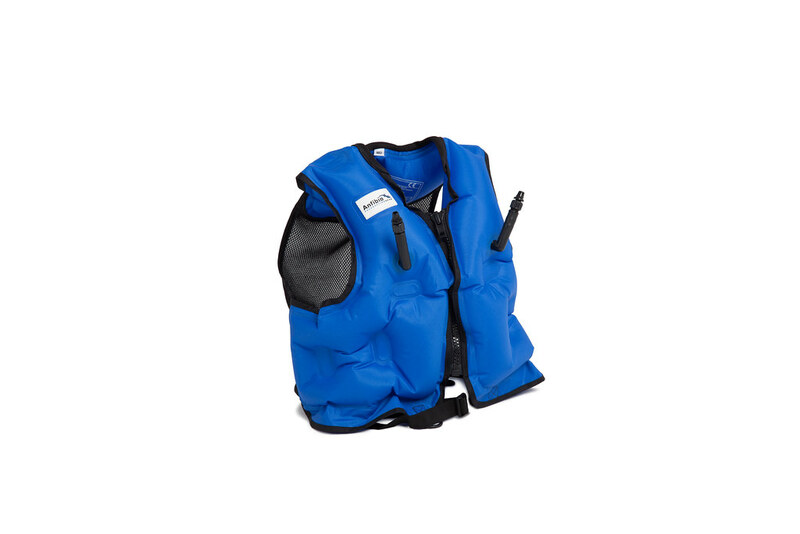 No regular life jacket (ISO Norm), only standard CE for quality production. Nevertheless, it features two independent chambers at combined 80 N buoyancy. The all mesh back does not interfere with your packrafts back rest, and is made from sturdy 210den TPU laminated nylon and a chunky front zipper provides some back up. Weight is 310g (medium), the extra crotch strap 30g. Packing size is second to none. It will sell for 79€ within the European Union only. Comes in blue (medium) and light red (large). And in case you’re wondering, Anfibio is the gear brand of the Packrafting Store, specialising in packrafting accessories. It is a design and development label based on user experiences. Sourcing up partners with manufacturing expertise allows them to create a range of products directly suited to packrafting’s unique requirements. Secondly, the workshop at the Packrafting Store HQ can now provide Cargo Fly retrofits within the European Union. Any used Alpacka Raft can get upgraded with this unique feature - probably the best thing you can add to your boat! Price including return shipping in the EU will most likely be 299€. 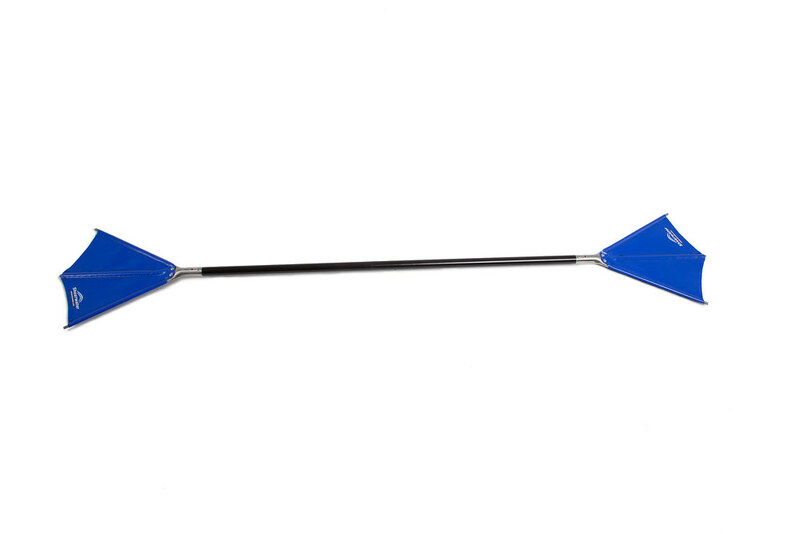 Bike rafters will like the Shearwater webbed paddle, a collapsible paddle that packs down really small. There is real science behind it (bionics) providing economic propulsion and ergonomic handling, despite the looks (duck feet, anyone?). And then there’s the Anfibio Multibag. 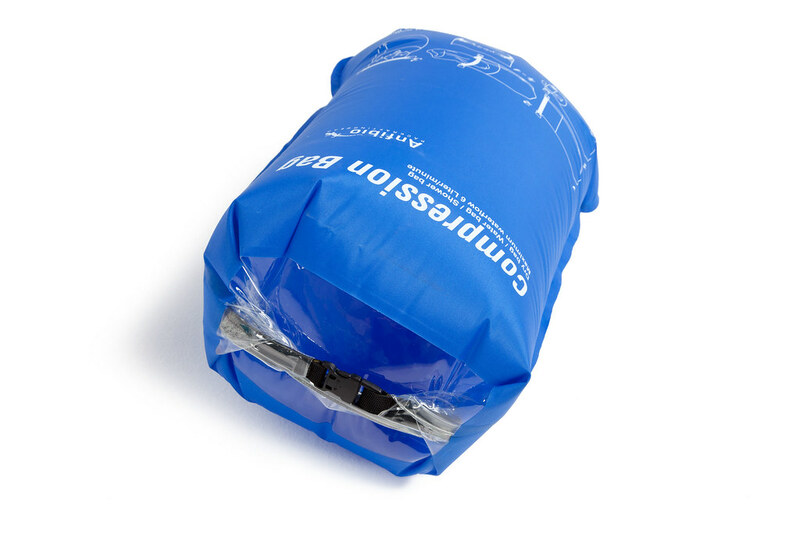 A multifuntion dry-/compression-/water-/shower bag with real tight top closure. Furthermore: The Alpacka CuriYak will be available front them, for the competitive price of 680€. Likewise, Hyperlite Mountain Gear joins the Packrafting Store and offers you thus a one-stop shop for all your packrafting needs. LAUFBURSCHE has been very, very busy in the last months, and launches three new packs which surely will reign supreme in the UL market. Introducing: The LAUFBURSCHE PACKsack. 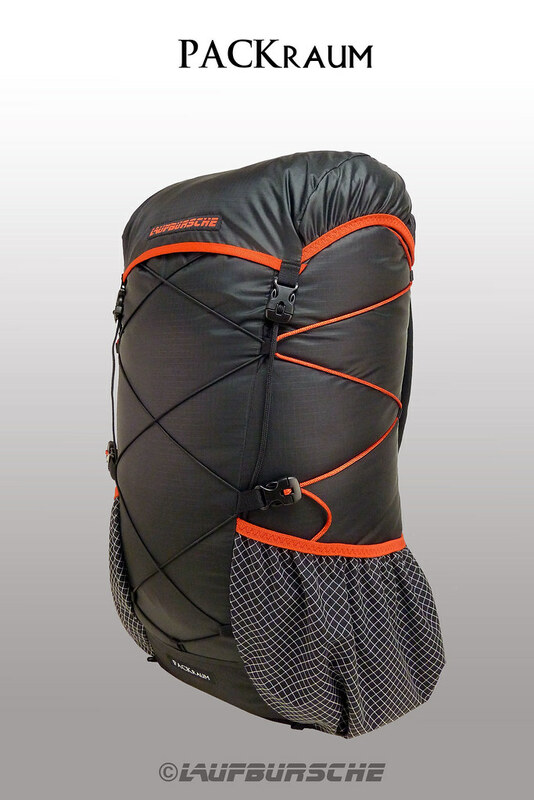 A 24 l pack which will be available in weights of 130 g (70den Ripstop Nylon) and 165 g (210den DxG). 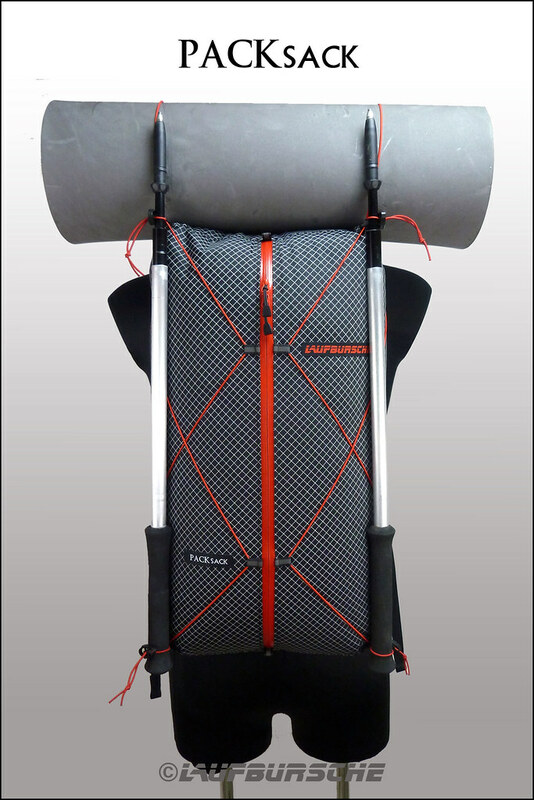 It’s THE pack for SUL enthusiasts, as it has a comfort limit of 5 to 6 kg. 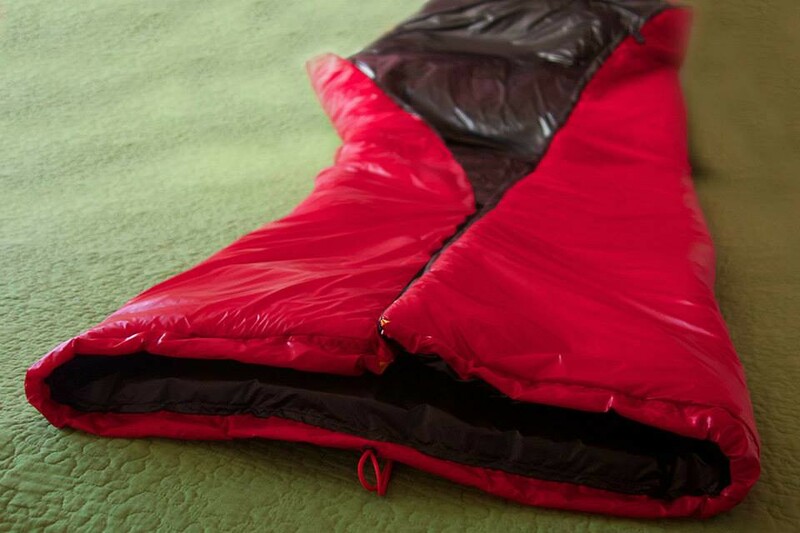 The red YKK Aquaguard zipper keeps snow (which snow?) and rain out, and you can strap your poles, mat and rain jacket to the outside. Clean lines, small size, gorgeous, and in 2014 also as a very special HiF Edition available. Yeps, that’s right. Introducing: The LAUFBURSCHE PACKraum. A 38 l pack which weighs 320 g and has a comfort limit of 10 kg, this pack combines with your Klymit AirBeam frame. It’s One size fits all and has two large side pockets (2 l each), and carries as comfortable as you’re used to from LAUFBURSCHE - if not even more, as the re-designed shoulder straps are now 12 mm thick. An ideal pack for the Ultralight backpacker and those that need a backpack for their urban every-day adventures. 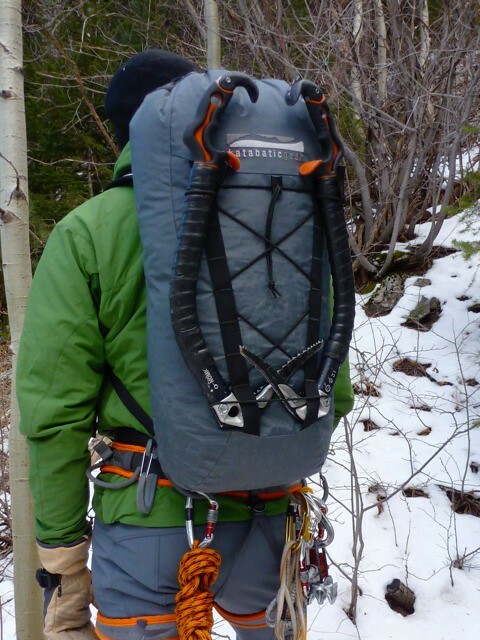 Katabatic Gear is entering the backpack market with two backpack designs. Coming in spring 2014 there will be a lightweight climbing pack and an ultralight backpacking pack. The climbing packs will feature durable fabrics and construction and should be ideal for fast and light climbers. The streamlined design easily carries ice tools and crampons, with removable compression straps for larger items like skis. 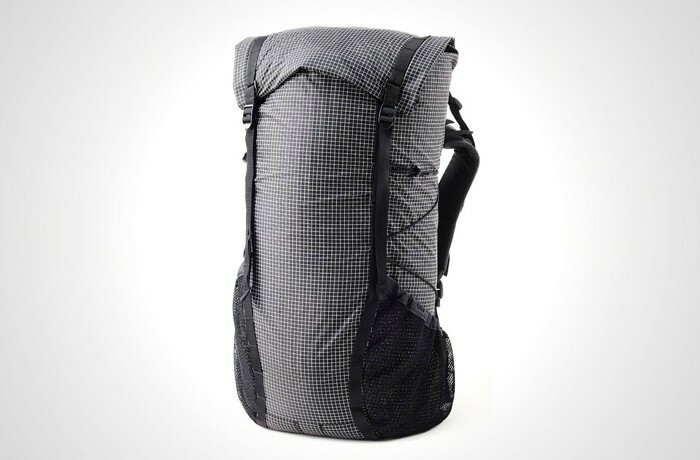 The ultralight backpacking pack will be made of the Cuben Fiber hybrid fabric, making it a lightweight option that doesn’t cut corners on features, durability, or design. Both of the packs will utilize their proprietary frame system, featuring a supportive, dual-density back panel and removable aluminium stay. The contoured frame design offers more support than traditional UL frame systems, while remaining extremely lightweight and comfortable. Then there’s also a new quilt in the line up. The Grenadier 5°F has a Pertex Endurance shell and a generous loft, making it a versatile cold weather bag for the ultralight traveler. Available with the premium 900 fill-power down or 850 fill power water-resistant down, the Grenadier is available now. Flat Cat Gear now has their Bobcat Jr. Cooking System available in titanium, while the Focus Fire 14 Titanium will be in BETA Testing soon. This stove was designed to maximise the efficiency of a single 14 gram Esbit solid fuel tablet. Jon can bring 4 cups of water up from 70 F to 200 F in bench top testing. The Focus Fire 14 Titanium UL 15 weighs 5 grams. The Epicurean Titanium UL stove has been updated for better robustness. 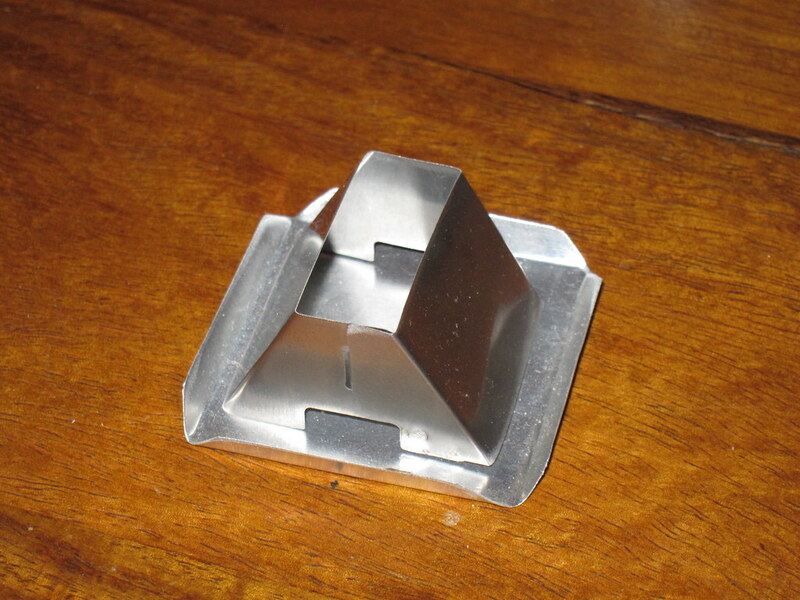 It is a solid fuel stove designed for dry baking and will burn a 14 gram Esbit tablet for 50 to 60 minutes. 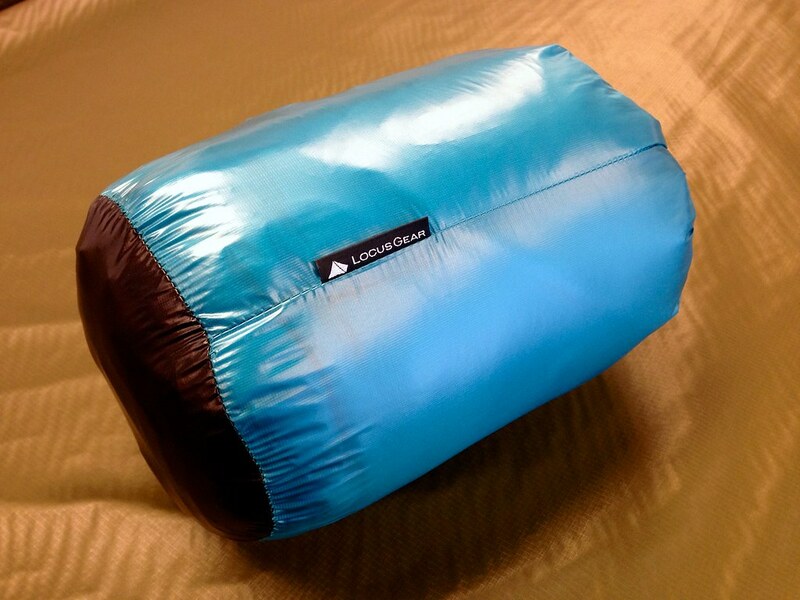 It weighs 7 g.
LOCUS GEAR will launch their “Nyx” synthetic quilt in March. Made from a Pertex Quantum GL shell and what has been know thus far as PrimaLoft ONE, and should weigh around 540 g including stuff sack. The new color Silnylon colour for 2014 is called Bronze Mist and it is a yellowish light brown. All Sil shelters are already available in this new colour, which looks very pretty, if I may say so. 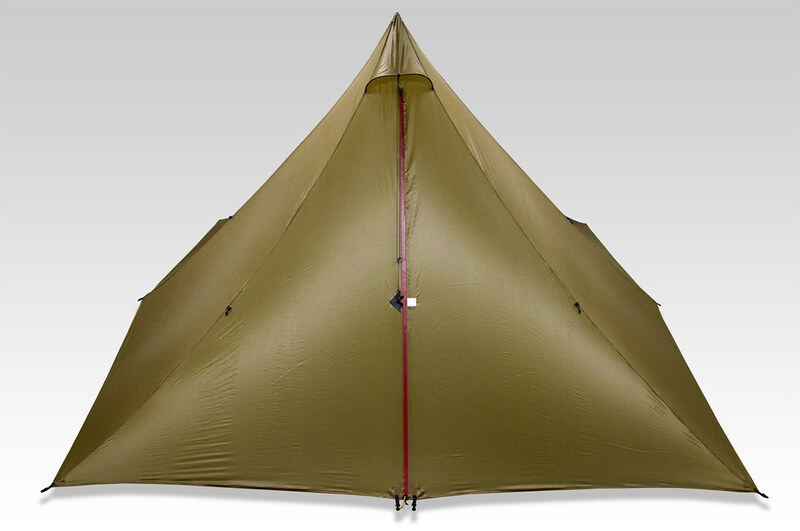 Locus Gear also started to offer various inner shelters for both the Khufu and the Khafra, which are also already available, while the Menkura shelter will be available soon. Hariyama Productions is a Japanese cottage that will launch in the near future. I have seen and used some of their products already, and am delighted. High quality craftsmanship, made in Japan. OGAWAND is another Japanese cottage which makes some great looking and functional gear. 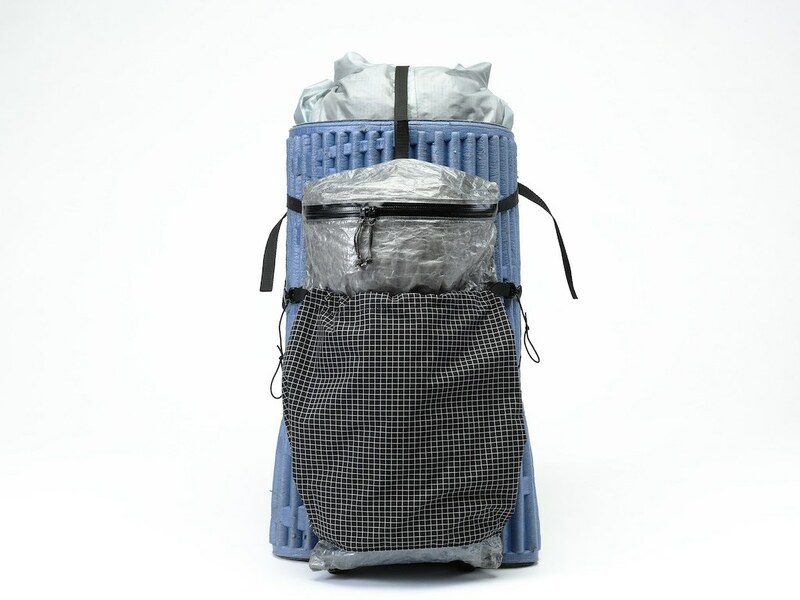 Their OWN backpack is a pack which adapts in size to your needs, and can go from 25 to 50 l in no time. It even can carry your rope. I have seen this pack in use and it is beautifully made, and weighs in at 530 g - available now. New for 2014 will be the OWN-Light. It will have an updated pattern and uses the Dyneema 140 denier material, but will be about 100 g lighter. WANDERLUST EQUIPMENT is the final Japanese cottage in this article which designs and manufacturers really innovative gear. Their Orbiter Pack is a unique take on the burrito style of packing, as the pad is in this design the frame - and you pack your gear inside of it. It’s very much a slimmed down ULA EPIC, as this pack weighs just 330 g. I can see this working as a good trailrunning pack, too, so it’s really multi-use. Check them out, they have some sweet cooking gear, a UL pick cover for your ice axes and a UL Mesh peg case! 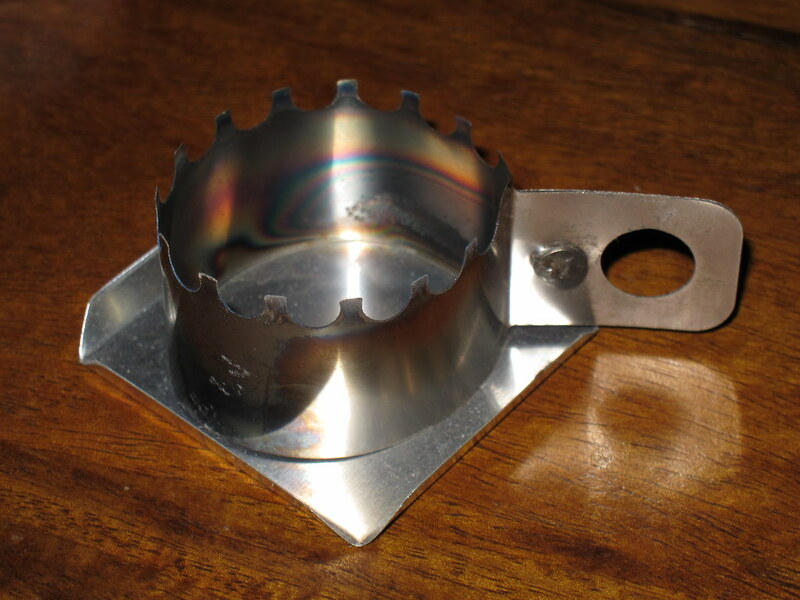 BushBuddy is continuing to work on the the development and testing of the titanium stove. And it might be available, possibly maybe, towards the end of this year. In 2013 Brian Frankle joined Six Moon Designs, and a year later we can see finally the fruits of this collaboration. There are four new packs split into two pack families, with a possible additional pack release later in the year. The first packs should be available by April this year, and the first infos on the Flight series came out on Monday. The packs come with a Vest Harness and an optional hipbelt is available, while sizes will be 30 and 44 l, weighing 425 g and 879 g, respectively. Furthermore, they are reworking their Cuben Fiber lineup of shelters and have just finished updating the Haven CF tarp, which will start production soon. 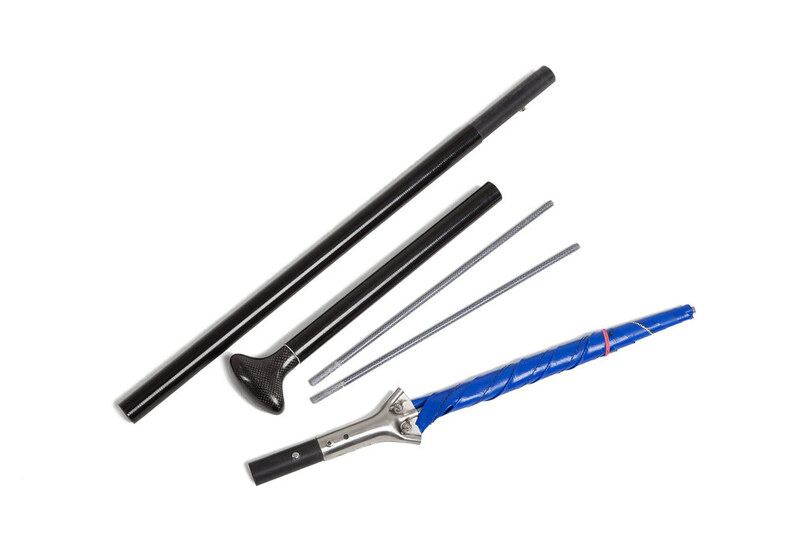 It is stronger, easier to setup, more stable and incorporates the Hidden Seam Technology. Last year’s production run of Skyscape X’s had a second door, but the next production run will include some additional changes that will lighten the tent, simplify setup and make it easier to reconfigure. Also the Serenity NetTent has undergone a makeover, and the new version will support an 8” deep bathtub floor, and a taller canopy that is more centred over the sleeping area. Behold! There is more! Benjamin shares with you the new gear from FlyWeight Designs, HMG and MLD, showcases what Suluk has been up to, and also gives you the low-down on the new LAUFBURSCHE huckePACK (Damn, that’s a sweet pack!). Thus direct thee browser to hrxxlight.com, pronto! You have a cottage and should be on this list with your new gear? Email me! If you liked this article, buy me a cup of coffee! And sure, you may follow me on Facebook and Twitter.